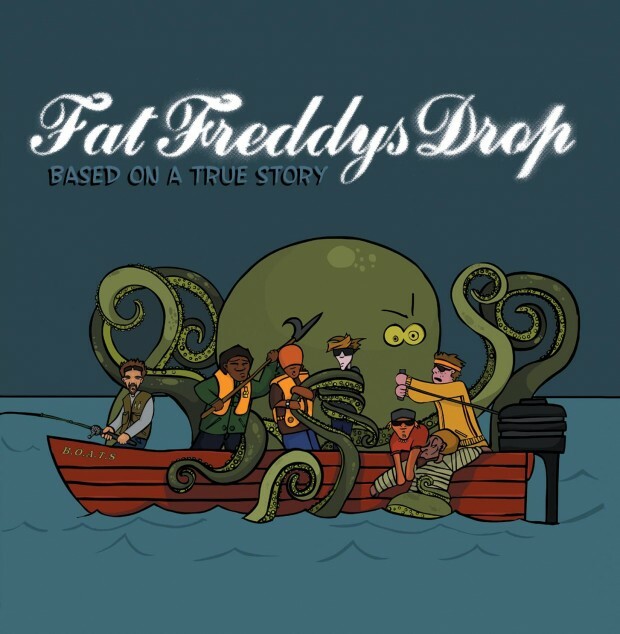 I have been a devoted fan of Fat Freddy’s Drop for a long time now, and waiting for my chance to do a music review. Their dense brew of funk, dance, and reggae is seasoned with ska and dub. Before you retreat like a scared deer in musical headlights let me clarify what I mean by dub. I don’t mean dub step – the music of computers and Transformers sharing one hot, passionate minute. I mean dub – the style of music championed by artists like Lee “Scratch” Perry and King Tubby. Fat Freddy’s Drop bring the mouthwatering tastes of each of these styles together to make albums that always deliver. Blackbird falls short of nothing that I expected from these guys, and if your a fan of their previous works you are going to want to sink your teeth into this. The opening track, Blackbirds, is what I would consider ‘tapas’ – more specifically a croquette wrapped in prosciutto. This song has velvety and melodic vocal lines, wrapped in a spicy and salty brass section that adds depth to the piano melody. Keep your ears pricked for a trumpet solo that harks back to the same tones you would have heard with artists like The Cat Empire or The Black Seeds. You follow your hors d’oeuvre with songs like Clean the House, which I am convinced is like a course of drinks. Clean the House has that dry and tangy cleanliness to it that makes me think of a Gin and Tonic, served at freezing point, with a slice of lime to take that sharpness away. It’s refreshing and punchy, yet it still has that delicate rhythm guitar and sultry bassline. Another track of note is Mother Mother, a homage to the leading female figure in the singers life. This piece has a jazz percussion pattern under a dominating vocal section, and leaves you with that same taste in your mouth you would get eating a grilled corn cob with butter. It has the occasional burst of salty sweetness and that underlying thickness and texture. Also, check out this stunning collab between MC Slave (album producer), Black Grace Dance Troupe, and Fat Freddy’s Drop. Silver and Gold (my personal favourite) makes me think of a dish of Caribbean Jerk Chicken served with an icy cold cerveza. This song, much like this dish, is best served in the company of others. What grabs my attention is the synth track, with is thick and juicy tone. Though, to be fair the whole mix of instruments, vocal hooks, and rhythms are invigorating. The only excuse you have to not move your head with the rhythm is if you have sustained a neck injury. 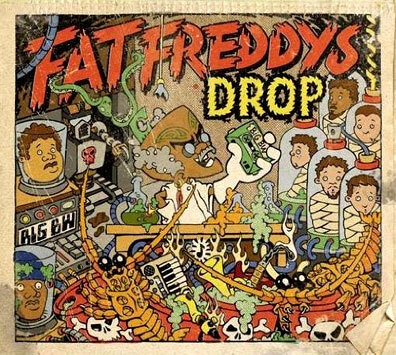 As I mentioned before, I have loved listening to these guys for years now, and although this hasn’t reached the position of my favourite Fat Freddy’s album, that doesn’t really bother me. Fat Freddy’s Music isn’t meant just to have on during a party or in the background of a ‘chill sesh’. Their music is also meant to be heard live. If you get the chance to see them perform live you should indulge your senses – just don’t bring any of the food I mentioned. People tend to look at you when you bring your own food to a gig.